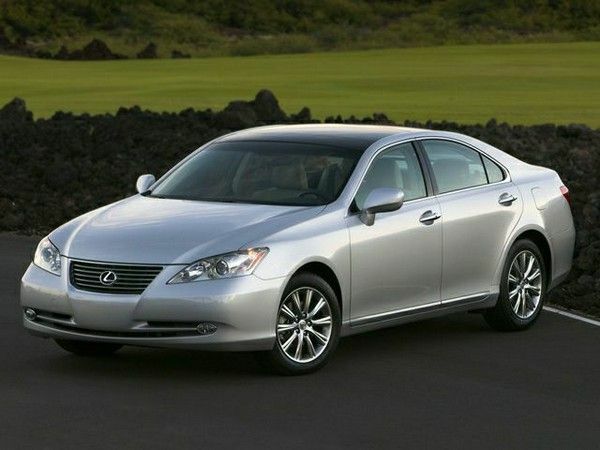 In Nigeria, the Lexus ES350 2007 is considered as a quintessential sedan among a massive number of cars on the market. It offers not only sleek yet distinctive design but also excellent refined engines, bulletproof reliability and great quality. The car has run on most of the roads in our country and becomes a great partner for many drivers. 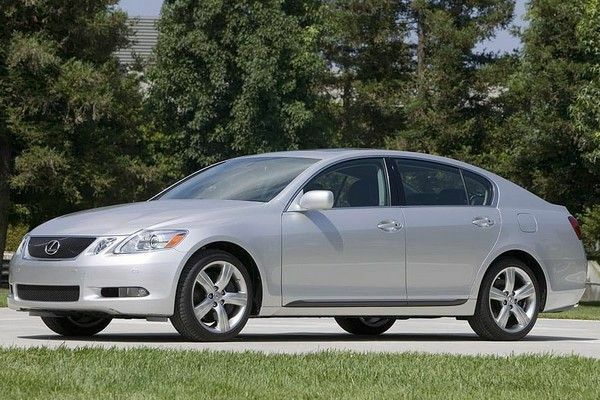 Like most of the Nigerian car lovers, Naijauto.com also can't help falling in love with this impressive car, which inspires us to bring you this article - the Lexus ES350 2007 review. We believe that this would be a special present for all Lexus and Toyota fans in particular and all car enthusiasts in general. The Lexus ES350 2007 design is based on the Lexus L-Finesse design scheme which is also applied for the IS and GS sedans and 3 concept cars. At first glance, the car looks impressive with its fresh and generous physical size. 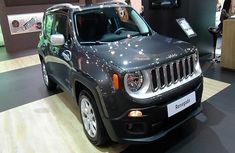 The car comes adorned with a subdued grille, less awkward and smaller headlamps. The wheelbase is 2 inches longer with 109.25’’, the body is 0.4 inches larger while the track is 1.2 inches wider than its predecessor. Especially, the body gets shorter and crisper overhangs, plus fresh look of the rear, side and front fascia, earning the car a more luxurious appearance than its previous models. 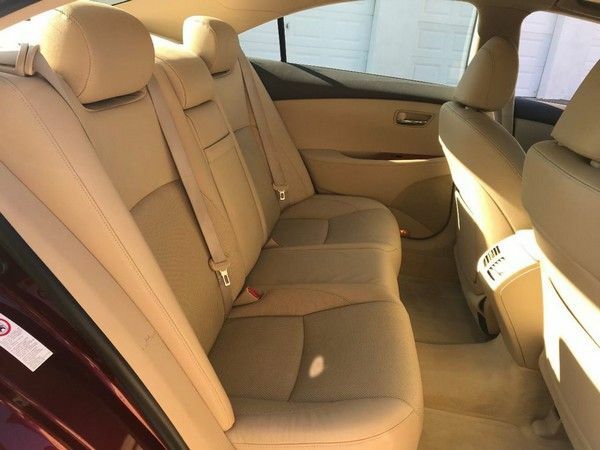 Compared to the previous models, the 2007 Lexus ES350 interior surprises many car lovers with its much more outstanding features - more advanced, more convenient and more fully equipped. 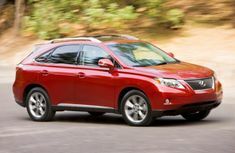 The car comes equipped with a push-button engine starting and a standard SmartAccess key fob which is completely new in the 2007 model. It also gets a fresh center stack and instrument panel offering much more supports for the motorist. The main devices are deeply concern, utilizing Optitron Optoelectronic displays and white LED lights which are familiar in all Lexus models to please the eyes. The trip computer meets standard and has a number of convenient functions while the fat and thick steering wheel is quite easy to use. 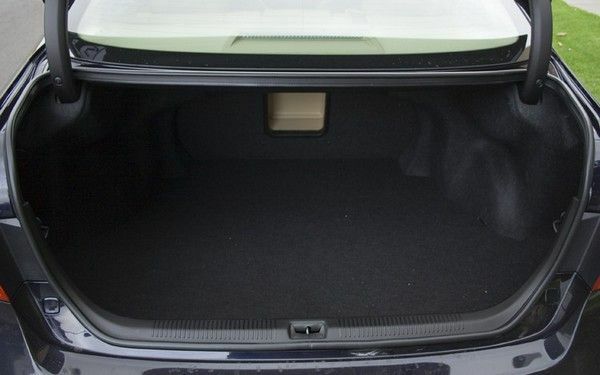 Speaking of the car’s space, the cabin can offer 95.4 cubic feet with more generous leg room and shoulder room while the rear seating row can house up sizable people with comfort. 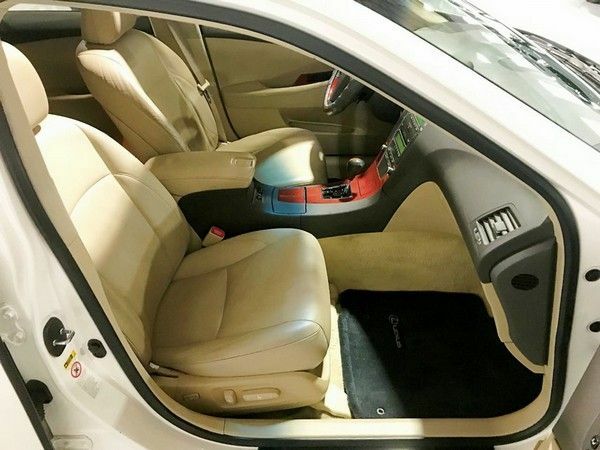 There are 3 options for the interior with cloth, perforated leather or leather, along with optional semi-aniline leather. 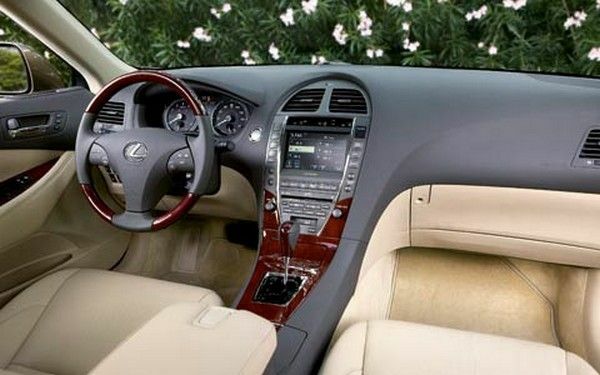 Besides, the Lexus ES350 2007 is also proud to receive some advanced features from the car manufacturer such as standard tilt/telescope steering wheel, a fresh acoustic-control laminated windshield, crisp graphics, hooded instruments and a ten-way power seat. 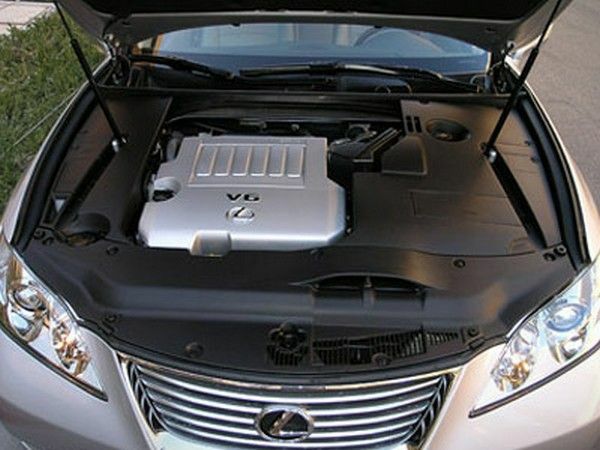 Under the hood, the ES350 is powered by a 3.5L engine which is stronger than the predecessor’s 3.3L. 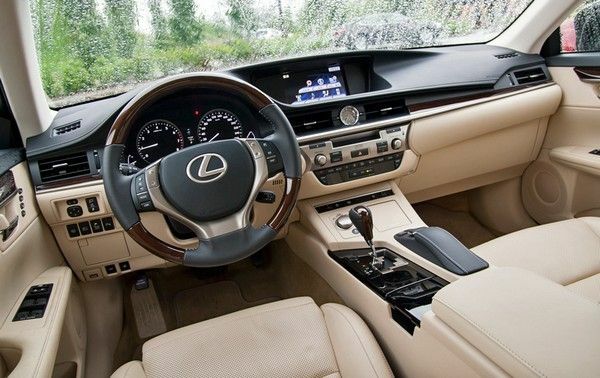 The 2007 Lexus ES350 engine is capable of cranking out 272 hp, whirs from 0 to 60 mph in 6.8s. 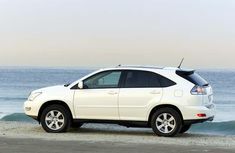 The handling and steering are evaluated to be much more responsive than the previous models. It responds quickly, quiet and smooth even beyond your expectation. The transmission also operates excellently with manual or automatic mode, upshift or downshift. 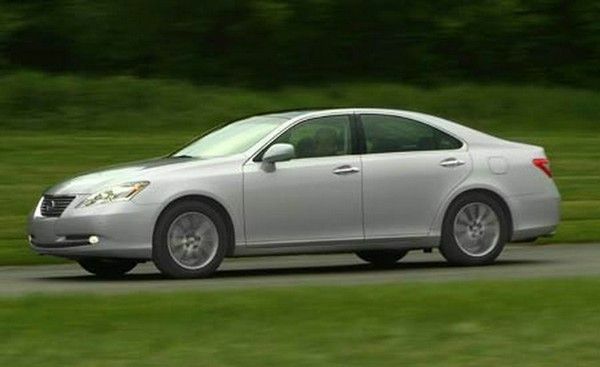 Two noticeable additions to the Lexus ES350 2007’s standard equipment are stability control and traction control, linked with the fresh chassis, allowing the sporty motorists to showcase impressive driving performance on the road. Thanks to the electronic control package, the braking system can operate efficiently with no signal of fading. The multi-link rear suspension and front struts are both very effectively isolated from the other parts of the car, bringing a smooth and quiet drive, with better control of body roll and pitch than its predecessor. If the Navigation and Heater Control Displays of the ES350 run into trouble, they may be addressed by upgrading the suitable software. An VVT-i oil line on the ES350 2007 is known to burst. This is considered as a very big leak covering the undercarriage, engine and ground. If the oil line gets problems while driving, engine oil pressure warnings and the low engine oil message will illuminate. If you ignore them and continue using, it will lead to a completely damaged engine due to oil starvation. To fix the problem, the line must get a replacement while the undercarriage and engine bay must be cleaned completely. This Lexus ES350 2007 problem can be led by a failed electronic throttle body assembly which will need to be replaced. 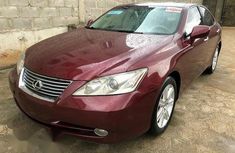 ​Please consult the table below for the latest 2007 Lexus ES 350 price in Nigeria. 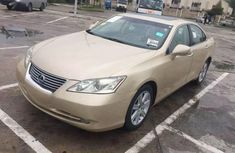 We also include the prices of the Lexus ES 350 of other model years with foreign used and Nigerian used models for your further information. 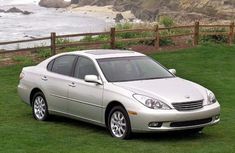 The Lexus ES350 2007 is a typical example of what Lexus and Toyota can do. Unlike its previous models, the ES 350 2007 is quiet and fast at the same time. 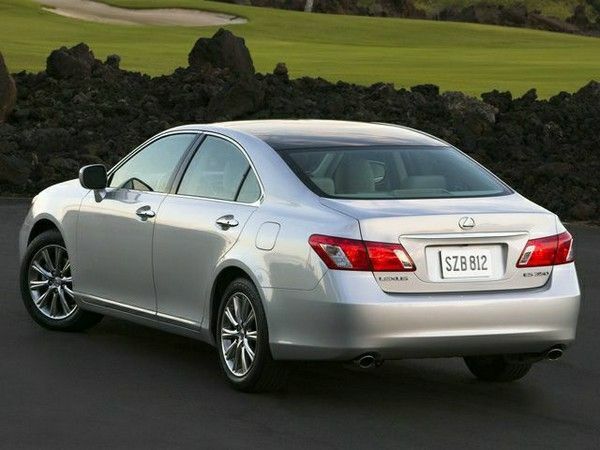 With a fresh, stylish design and a full package of standard equipment, there is every reason to believe that the 2007 ES350 is one of the strongest models in the entry-luxury segment. It promises to be a great choice among luxurious sedans. 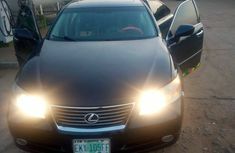 This ES350 2007 review is brought to you by Naijauto.com.